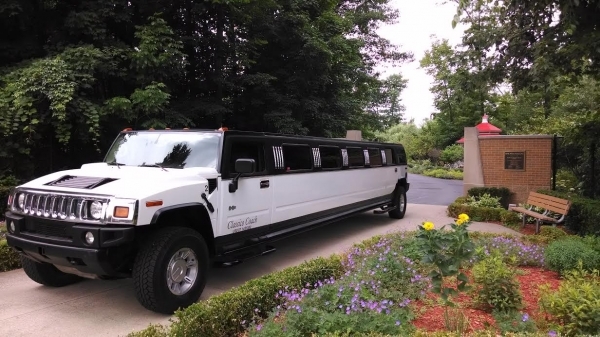 With over 15 years of experience providing luxury transportation services in Southeast Michigan, Bozzo's Limousine Service is Brownstown MI's leading source for high quality, affordable limousine and party bus rentals. our luxurious limo fleet is well suited for all of your private and special occasion needs. We specialize in all aspects of luxury transportation and strive to deliver the highest quality of service to all of our customers. As one of the most important days of your life, there's no room for uncertainty on your wedding day. You need a wedding transportation service that you can rely on! At Bozzo's Limousine Service, we provide the impeccable, five-star limousine and shuttle transportation services you should expect on your wedding day. Our drivers will work with you to learn the details of your night, from picking up and dropping off guests, to ensuring you meet your destination on time with comfort and style. We'll also handle the planning and scheduling, so you and your guests won't have to stress about sticking to the itinerary or making it to the destination on time. Our drivers are dedicated to providing first class service every step of the way, and it is their goal to meet your needs and exceed your expectations. Luxury Limousine & Coach Service for All Occasions! "We used Bozzo's Limousines for the bachlorette party, a party bus for the wedding, and as transportation for our guests to and from the hotel and the reception hall. We were given a free upgraded Limo for the bachlorette Party which was AWESOME! The driver was so nice and really looked out for us. He made sure that a group of young girls was not only having a great time, but was safe, too. 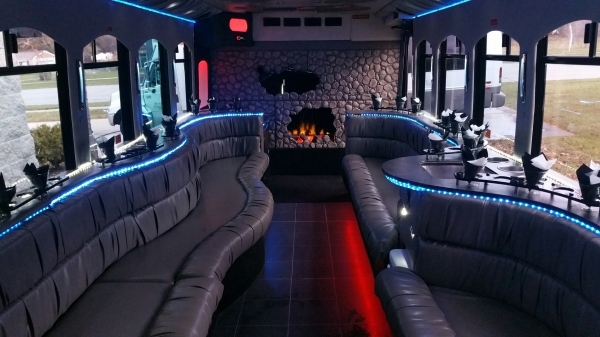 The party bus was beautiful and the price was great compared to other businesses. The limo that transported our guests was kind, friendly, and efficient at the task, even when some of our guests were...obnoxious." Brent F.
"We loved our party bus from Bozzo's Limousine. There was plenty of room for my large bridal party. It was very nice inside and the air conditioning worked really well. We got married in the middle of the summer so that was very important to us! Also, the driver, Mary, was so sweet and great to work with!" Skylar T.
Contact Bozzo's Limousine Service today to reserve a vehicle!